LONDON, England -- Ryanair flights will begin serving two airports in Ukraine from October 2018. 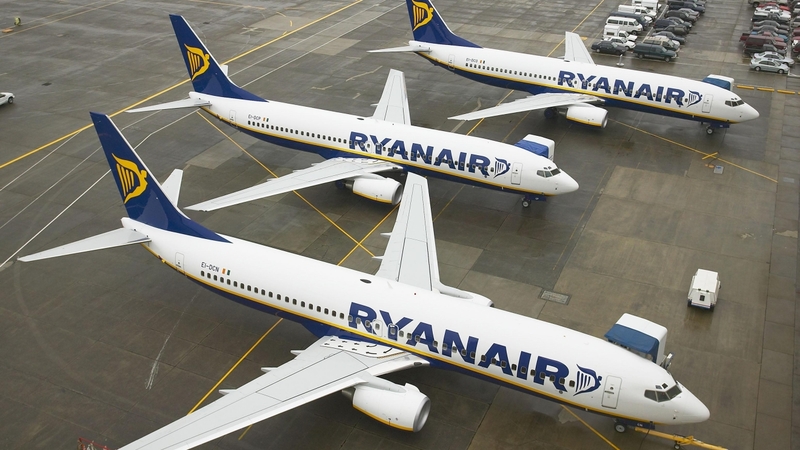 Ryanair is expecting to deliver 800,000 customers per year, flying 10 new routes to Kyiv (from Barcelona, Bratislava, Gdansk, Krakow, London Stansted, Poznan, Stockholm, Vilnius, Warsaw and Wroclaw) and 5 new routes to Lviv routes (Dusseldorf, Krakow, London Stansted, Memmingen and Warsaw). “Ryanair is pleased to announce that our low fares have officially arrived in Ukraine, our 36 country of operation,” said Ryanair’s CEO Michael O’Leary in Kiev. “Ryanair’s entry to Ukraine is the most important event for the national airspace over the past 20 years. Europe’s largest low-cost airline begins its operations at Boryspil International Airport (Kiev) and Lviv Danylo Halytskyi International Airport (Lviv),” said Ukraine’s Minister of Infrastructure, Volodymyr Omelyan. “For Ukrainians, Ryanair’s arrival brings about the opportunity to travel cheaply and safely,” Mr Omelyan added. For the country, it means development of the aviation industry and the network of regional airports. For business, it points to a free and competitive market, with rules of fair play. For visitors, you can fly to Ukraine at the lowest fares and discover its openness, beauty and business opportunities. Today’s signing of the agreement signals the successful completion of negotiations and I extend my congratulations to Ryanair and wish the company every success in Ukraine for many years to come. Today, I am very happy along with millions of Ukrainians. Ukrainians have been able to travel visa-free to the Schengen area since May 2017.